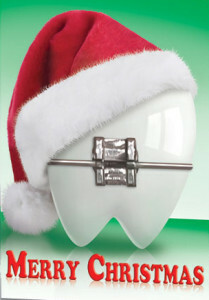 Most festive time of the year, but the worst time for dental health. Rinse your mouth with water after consuming sugar-filled foods. Don’t forget to brush and floss, especially at bedtime! To limit the damage caused by consumption of wines and soft drinks swish a mouthful of water every so often to increase saliva flow and rinse away sugars and acid. Best to avoid. If you can’t, avoid chewing and rinse mouth afterwards. Clean teeth thoroughly with a toothbrush and floss after eating sticky food. Use an interdental brush if you must. Check before you bite whether a coin is hidden in that delicious Christmas Pud! Use scissors, bottle openers and other appropriate tools to open gifts. Never your teeth. If clenching your teeth starts to cause pain or damage to your teeth, give your dentist a call as soon as possible. It’s possible to catch the virus that causes cold sores and the common cold by kissing somebody. Brush and floss to keep the germs under control. If you feel really tired, at least brush in bed without toothpaste. Don’t forget to have a good swish of water to rinse your teeth afterwards. If you eat these dark-coloured foods, then brushing your teeth is your first defense against staining. Regular cleaning by a dental hygienist also helps to remove surface stains. Avoid sugary foods, and rinse your mouth with water carefully after meals. You might even want to an old-fashioned toothbrush: the chewed end of a stick! Remember to visit your dentist and have the dental procedure done before taking off on a holiday so you can enjoy your break knowing that your dental health is stable.